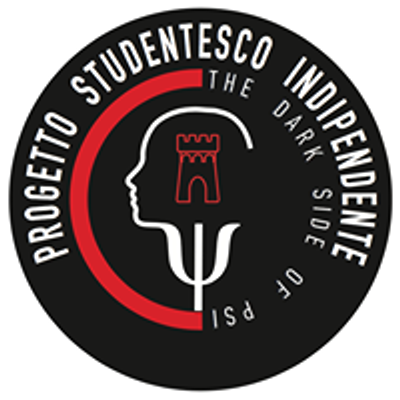 Neuroanatomia di sistemi e neuro-imaging attuale: Impatto sulle neuroscienze di base e cliniche. 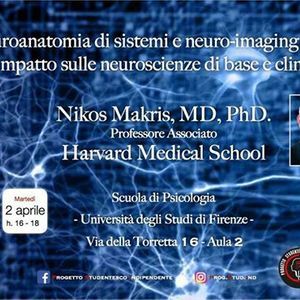 Nikos Makris, M.D., Ph.D. is a neuroanatomist, imaging scientist, and psychiatrist. -He was born and raised in Corfu, Greece and studied medicine and psychiatry in Siena, Italy. He moved to Boston, Massachusetts in 1991. Center for Neural Systems investigations. and functional anatomy using both neuroscience and imaging techniques. -He has published over 200 peer reviewed papers. 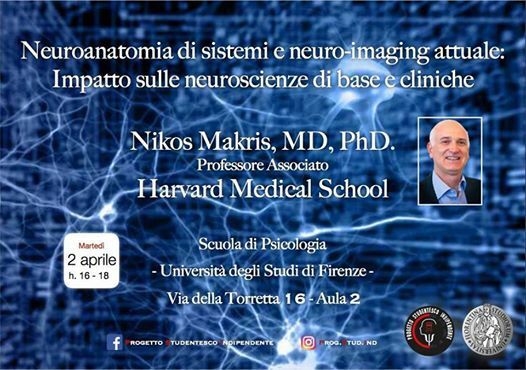 (128) of these researchers are in the field of Neuroscience & Behavior where Nikos Makris has earned this distinction.